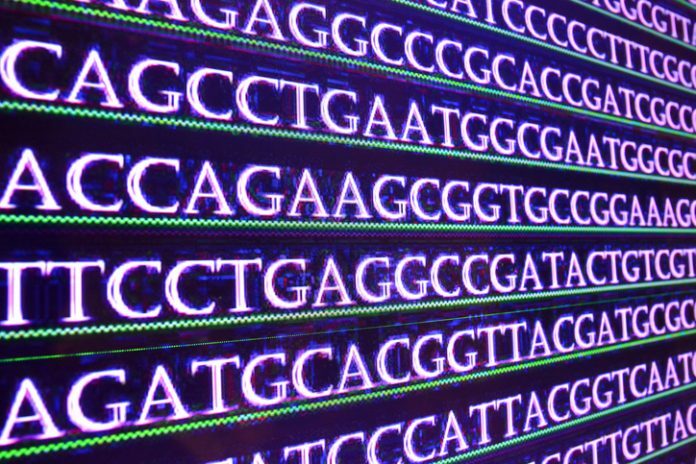 A new enzyme, called an adenine base editor (ABE), can directly repair the type of single-letter changes in the human genome that account for approximately half of human disease-associated point mutations. These mutations are associated with disorders ranging from genetic blindness to sickle cell anemia to metabolic disorders to cystic fibrosis. ABE’s capabilities, which allow it to convert selected A-T base pairs to G-C base pairs without cleaving DNA, may be attributed to its main components: an “evolved” transfer RNA adenosine deamininase (TadA), a Cas9 nickase, and a guide RNA, according to the scientific team at the Broad Institute that created the enzyme. ABE actually refers to a family of base editors, the members of which differ because they represent different evolved versions of the TadA enzyme. TadA is the starting point for ABEs because it is able to convert adenine to inosine, which cells treat as guanine. Ordinary or natural TadA, however, works only on transfer RNA, not DNA. To create DNA-modifying versions of TadA, scientists based at Harvard University and the Broad Institute of MIT generated TadA mutants in bacterial cells. These bacterial cells were required to convert adenine to inosine in antibiotic resistance genes in order to survive antibiotic challenge. Surviving bacteria encoded TadA mutations that imparted the ability to perform the adenine-to-inosine conversion on DNA. To assemble an ABE, the Harvard/Broad team attach a mutated TadA to a modified form of the Cas9 enzyme. Ordinarily, as part of a CRISPR/Cas9 gene-editing system, Cas9 will cleave DNA, which is then repaired by one or another set of molecular machinery residing in the living cell. The Cas9 used in ABE, however, is modified so that it only nicks DNA at the base opposite the adenine-to-inosine conversion site. The nick prompts the cell to insert the correct partner base pair to match the new one, thereby completing the swap of A-T to G-C. Details about the ABEs appeared October 25 in the journal Nature, in an article entitled “Programmable Base Editing of A•T to G•C in Genomic DNA without DNA Cleavage.” The article’s senior author, David Liu, Ph.D., led an effort last year to create a base editor that could convert C-G base pairs to A-T base pairs. Now Dr. Liu and colleagues introduce another tool, one that can accomplish the opposite function. Experiments in the new study hint at the promise of the new ABEs. ABE7.10 reversed a G-to-A mutation associated with a genetic iron-storage disease known as hemochromatosis in cells taken from patients. In a different experiment, ABE7.10 added a mutation that restored the function of a hemoglobin gene in human cells. That mutation is known to confer protection against blood diseases including sickle cell anemia.